The launch of the official Tyneside partnership Fulfilling Lives which took place in Newcastle (Thursday 13th November 2014) and marks the start of a multi-agency partnership of organisations set to embark on an eight year journey to better coordinate services for people with complex needs. The Big Lottery Fund awarded the £5.5 million grant to the partnership which is led by Changing Lives, and includes Mental Health Concern and Oasis Aquila Housing, to improve and better coordinate services to tackle the needs of people living chaotic lives. Fulfilling Lives is one of 12 projects around the UK receiving multi-million pound grants from the fund. Most people are able to cope when one thing goes wrong in their lives. But not everyone can cope when three or four things go wrong together, and people whose lives are in chaos often find it difficult to identify the help they need from the various agencies that are there to help them. Fulfilling Lives aims to connect support services with individuals so that they work better together, helping people with complex needs like poor mental health, homelessness, addiction and risk of offending improve their lives for the better, reducing the cost to society. People who have multiple needs often lack effective contact with the services that could help them solve their complex problems. The funding to support Fulfilling Lives enables a range of different services to provide a coordinated approach and tailored support service for individuals in need of assistance. This will ensure that all needs of an individual are met so that people won’t rotate around different services or fall through gaps in the service provision. The investment from The Big Lottery Fund for Fulfilling Lives, which is supported by Jon Snow, Mitch Winehouse and Russell Brand, aims to tackle issues which will improve the stability, confidence and capability of people with multiple and complex needs, so they spend less time in prison, reduce their drug abuse, are in stable accommodation and have better mental health. Local authority data indicates there are 2,370 drug users in Newcastle while four out of every 1,000 people in Gateshead are homeless. Data from the partnership suggests there are 500 people with multiple and complex problems in Newcastle and Gateshead, and their support comes at considerable cost across a range of services. 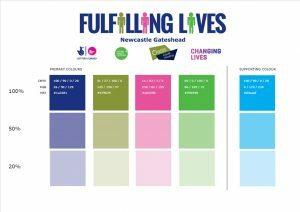 Fulfilling Lives looked at two local people with multiple issues and the cost of services used by the individuals in a twelve month period. One 19 year old woman had problems including mental ill health, alcohol misuse, and experience of domestic violence and had received several custodial sentences. While in custody she self-harmed and expressed suicidal thoughts. The total costs over a year including prison, arrests, ambulance call outs and court appearances, amounted to £29,000. A 47 year old man who suffered with depression, was a chronic alcohol user and had periods of sleeping rough. From the age of 16 he began injecting drugs and used drugs consistently throughout his adult life had a history of petty offending to fund his drug and alcohol use, and incurred the cost of additional healthcare, hospital admissions, arrest and imprisonment. The total cost amounted to more than £68,000 in one year. The project will identify people with the most entrenched problems and coordinate their support and help with access to all the services required. The Fulfilling Lives core partnership; Changing Lives, Mental Health Concern and Oasis Aquila Housing, aims to radically change the health, social care and criminal justice culture so that people with multiple and complex needs can make the journey from crisis to stability through having a home, a job and sustained well-being in a seamless way. Importantly, the work that Fulfilling Lives will undertake will be led by the service users themselves, and represents a real opportunity to tailor services to meet people’s needs. The work will be evidence-based and will shed light on more effective and efficient ways of organising and delivering services for people with multiple needs, along with the efficient and effective use of budget resource in both health and the criminal justice areas and importantly, the well-being of the individual and a positive contribution to their community and society in general. Speaking at the event, Sir Paul Ennals CBE, Chair of the Fulfilling Lives Newcastle Gateshead Strategic Group said that “The world of services can be a complex place for people with multiple issues and needs. Today marks the launch of us tackling these issues now and for the next eight years of the funding so that we support people gain control over their own lives. “The programme will be driven by the views and needs of service users and not driven from the top down and we are developing a model of best practice that will be shared across the UK. Fulfilling Lives can bring about change and all partners involved are committed to working together to evaluate the structures that are in place, and to learn everything that is done and needs to be done to solve issues and so that the system is better.